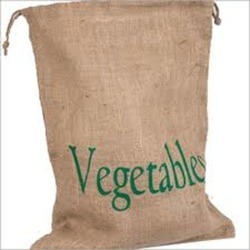 We manufacture, supply and export the high quality of Jute Drawstring Bag. 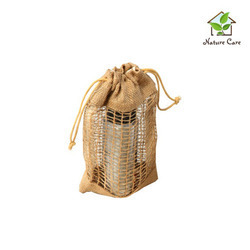 The offered jute drawstring bags are designed from high grade dyed jute fabric and in accordance with the prevailing market trends. 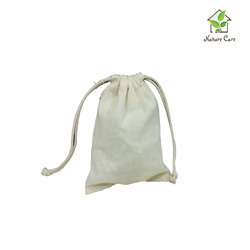 Easy to carry, these jute drawstring bags are known for their alluring design, perfect finish and neat stitching. 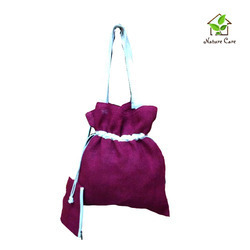 In accordance to the handle type, prints, designs, colors and sizes details provided by the patrons, the offered jute drawstring bag can be custom designed at our end. 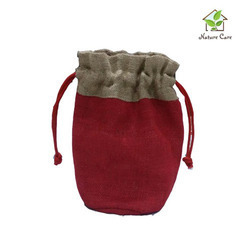 We are among the acclaimed names in the industry for manufacturing and supplying 'Jute drawstring fruits pouch'. For meeting the exact requirements and needs of our patrons, we are engaged in manufacturing the best quality of Jute Christmas Gift Pouch. Due to its alluring design, perfect finish and appealing appearance, the offered jute Christmas gift pouches are highly demanded. 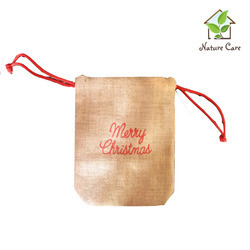 In a zest to attain maximum customer approval, we offer this jute Christmas gift pouch in various sizes and designs. 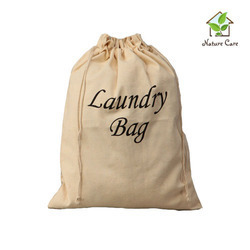 We are among the acclaimed names in the industry for manufacturing and supplying 'Cotton Canvas Laundry Bags'. By offering our patrons with the best quality of Jute Drawstring Backpack at the most competitive prices, we have been able to attain a commendable position in this domain. Due to its distinctive appearance, high visual appeal and perfect finish, this jute drawstring backpack is highly demanded. The offered jute drawstring backpack can be customized as per the printing and handle type details provided by the patrons. 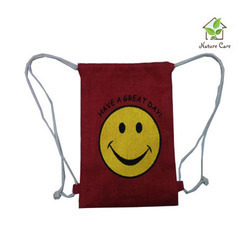 We manufacture and supply the finest grade of Cotton Pouch Bags at competitive prices. Mainly used for packaging of different jewelry items, the offered cotton pouch bags are designed in accordance with the prevailing market trends. Owing to our large production capacity, we have been able to meet the bulk demands of the offered cotton pouch bags in the most organized manner. Known for its attractive design, smooth finish, neat stitching and durability, the offered Cotton Backpack is highly demanded in the market. The offered cotton backpack is made from highly degradable cotton, which is procured from reliable vendors. Rigorous quality assurance procedures at each stage of production ensure a flawless range.